Walking into the chic WAY Modern restaurant, you would not immediately think that you have entered a haven of deliciousness. Beyond the artistic metalwork decor, the banquette seating and the glittery gold cushions is a menu packed with flavor and tender loving care. For those who want a taste of delicious Chinese cuisine that marries tradition and modernity, WAY Modern is a stellar choice. The restaurant, established in 2014, seats 30 plus in its general dining area with a beautiful private room for 10 and a smaller private room for six; each private room has floor-to-ceiling mirrored walls. We started our feast with Yee Sang prepared by the bubbly restaurant manager, Grace, and the balance of flavors was perfect. The combination of the olive oil and plum sauce produced a smooth appetiser. Soon after, our hosts poured us little dainty cups of the water-less chicken soup which was both light and comforting at the same time. The presentation using tiny glass cups was a creative, classy touch. It also had the effect of cleansing and preparing our palate for all the treats that would soon follow, beginning with the abalones sitting on a bed of crisp dragon leeks. While chatting with our hosts, Ivy and Evangeline, we took a quick look at the regular menu and were immediately delighted by the porcupine buns. 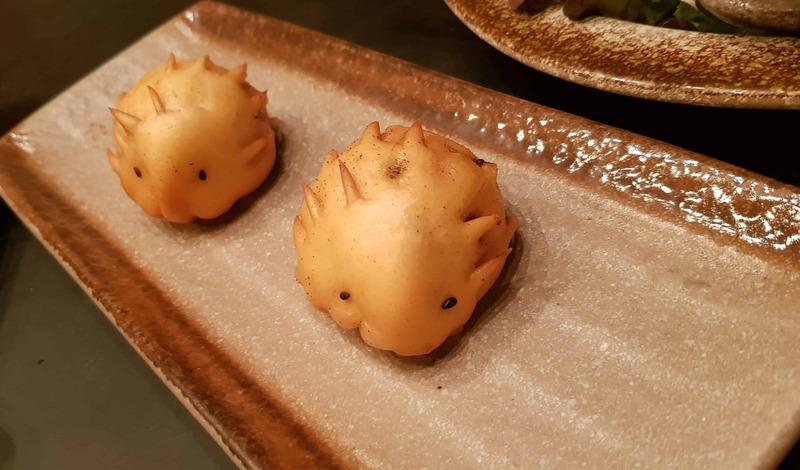 These are steamed-bread buns containing moist, seasoned Wagyu beef, packaged in the cutest artistic imagining of the porcupine. They are wonderfully delight and decadent, and it comes as no surprise that this dish is one of the restaurant’s best-sellers. Further examples of the chef’s creativity include the Golden Rose Wantons presented in a pot to look like flowers. But the pièce de résistance has to be the Truffle Roast Duck. 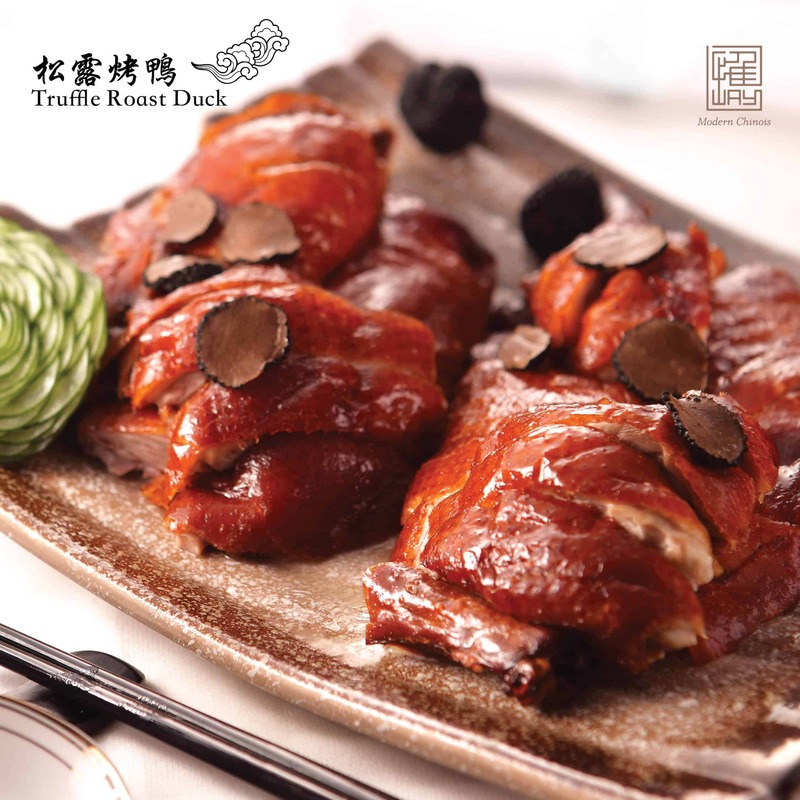 At WAY Modern, however, the Truffle Roast Duck has been cooked and prepared to perfection. The delicate crispy skin is the precursor to the moist, tender flesh, and even without the accompanying truffle sauce, the delicate shaving of truffle lends a wonderful dimension and sensation to this dish. If our writer, who had never tried roast duck before, absolutely enjoyed this dish, then surely this is testament to the care, attention and dedication in producing this standout dish. While some might think that cod fish is an unsophisticated choice, the talented team at WAY Modern have a genius in the kitchen who has managed to produce a dish where the pan-seared cod is silky yet substantial, and the sauce is heaven in a spoon. This dish is part of the special Chinese New Year menu (available only until February 19, 2019) but we at BT are petitioning for it to be on the regular menu; it is an absolute must-try. 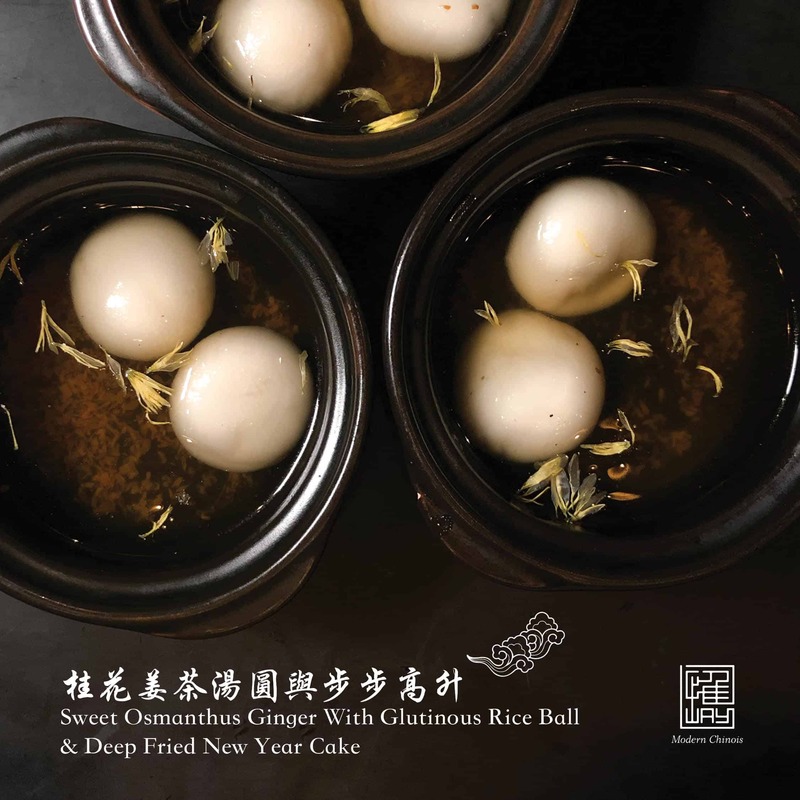 Dessert was hot and sweet; the soft glutinous rice balls almost melt in your mouth and the osmanthus soup-syrup was beautifully peppered with osmanthus flower petals. It was a perfect finish to a most decadent meal, capturing WAY Modern’s dedication to balance and subtlety in its gastronomic offerings. WAY Modern is a highly-recommended experience to explore, from the cosy well-designed and sleek space to its gorgeous food. If you want quality in each bite, this is the place.